Amazon.com: The Wal-Mart of Android Apps? After months of chatter, Amazon's Appstore for Android is live and ready for download. But are two app stores better than one? Let's do a quick comparison with the Android Market to see if the Amazon Appstore is worth an install. Amazon's a veteran of online retail, and it shows. The Appstore is much more pleasurable to navigate than the Android Market, immediately presenting you with a long list of popular free and paid apps. A sliding bar near the middle of the screen lets you quickly select categories. The "recommended for you" option isn't available yet, but once it is, it could rival the Genius feature found in Apple's iOS App Store. Also, it's nice to get away from the Android Market's pea green color scheme. Installing apps through Amazon's store is fairly painless, but it's not quite the "set it and forget it" experience that the Android Market provides. Instead of jumping back to the home screen and getting a notification when an app is ready, Amazon sends you to an installation screen that feels a little clumsier than the native Market. 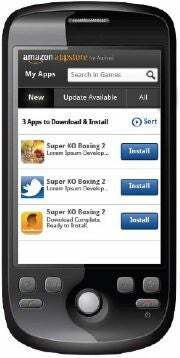 Apps downloaded through the Android Market may be returned free of charge within 15 minutes of purchase. 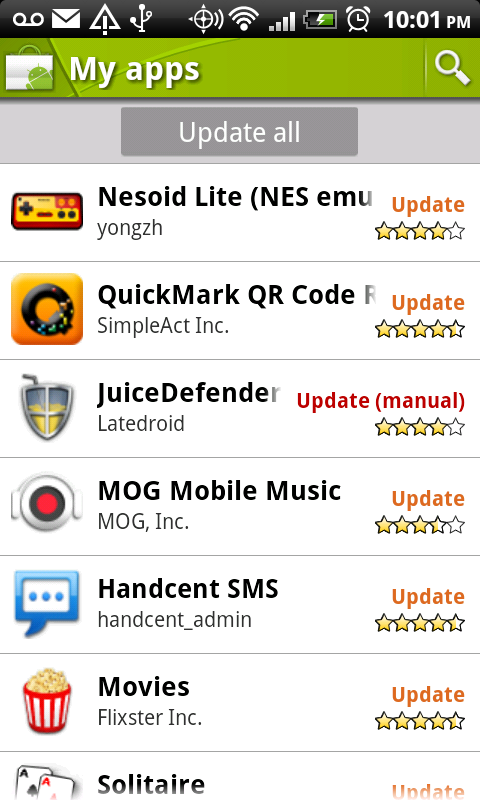 This remains one of the Android Market's greatest perks. The Amazon Appstore has a "test drive" feature for trying apps from your computer's Web browser, but that doesn't help you if you want to learn how it works on your phone. Because Amazon's selection is curated, it's obviously going to be much smaller than the Android Market, whose app count is in the hundreds of thousands. Barring the occasional exclusive, such as Angry Birds Rio, the Android Market's selection is superior. What Amazon loses in quantity, it gains in quality, and this is obvious when you run a search for popular apps like Angry Birds and Fruit Ninja. Clones, spam apps and irrelevant results abound in the Android Market, but Amazon's store returns exactly what you're looking for--and nothing more. From what I can tell, claims that the Amazon Appstore is cheaper than the Android Market seem overblown. 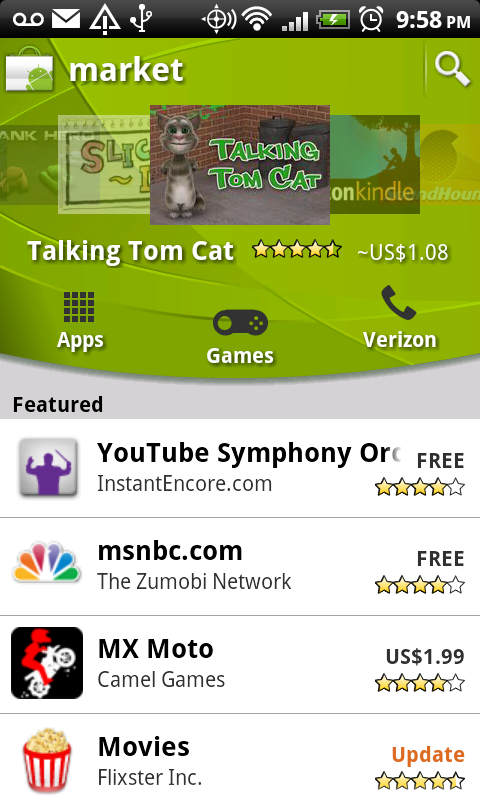 Looking through both stores, I don't see any major discrepancies on popular apps. 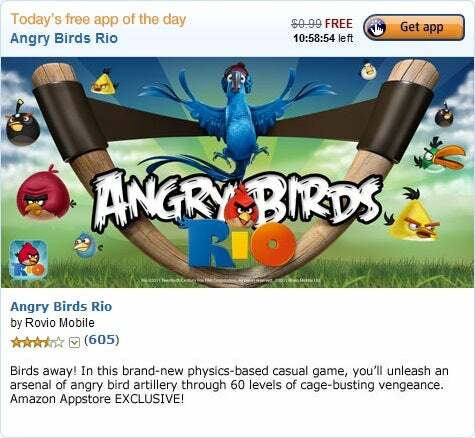 However, Amazon has vowed to give away a free app every day, starting with Angry Birds Rio. The Android Market offers no deal promotions whatsoever. The Web interface for Amazon's Appstore is tied into the rest of the retail site, which means if you search for the Evernote app, you'll also see results for "iPad Made Simple" on paperback and other non-app detritus. I find this distracting. You also can't install apps remotely from Amazon's Website; you can only send them to a queue in the phone for later installation. I'm not going to categorically declare one store better than the other, but I do think that if you're in the mood to browse--be it for deals or popular apps--the Amazon Appstore provides a cleaner experience than the Android Market. Still, the Android Market's superior return policy, bigger selection, and easier installation make it worth using if you're looking for something specific.